France ceded New France to the British, after the signing of the Treaty of Paris in 1763. The first known French-speaking professional theatrical performance at Quebec (City) was announced in the Quebec Gazette, April 11, 1765. The advertisement said that a troupe of comedians with the permission of His Excellency the Governor (James Murray) and the Magistrates of the city would give a theatrical performance of Le Festin de Pierre (The Stone Feast) on April 15th, at Jean Roi’s Inn. Located in the Lower Town on Saint-Pierre Street, Roi’s Inn was known as At the Sign of Quebec. It is interesting to note that the Governor General James Murray allowed the troupe to give a theatrical performance in the colony, even though Murray wasn’t in favor of French-speaking entertainers from France. The political and emotional tension between the French and the English arising from the Seven Years War (1756-1763) as well as the surrender of New France to the British in 1763 was still felt. 1. Dominique’s troupe, although they were French-speaking were not French citizens; having experienced political discrimination while touring in Britain before his trip to America, Dominique had reorganized his troupe by using actors who were citizens of Britain, Milan, the Netherlands and Switzerland thus avoiding the French/English conflict. Since the members of the troupe were not French, Murray obviously relaxed his political apprehensions and allowed the troupe to come into Quebec. The troupe was managed by Monsieur Dominique, a Swiss actor and acrobat from Bern, Switzerland; it included one woman, Madame Nina, and five men, the “sieurs” Colin, Grivois, Silva, Zeliot and Dominique. Their first performance in America was in 1763 in New York City; it may have been given as part of the centenary celebrations for the capture of New York by the British from the Dutch in 1664. 2. 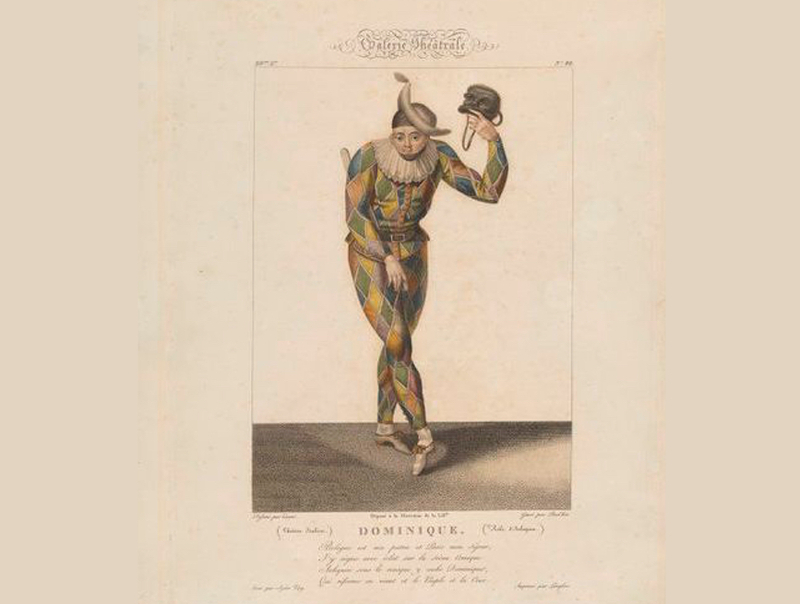 André-Gilles Bourasse, A Swiss Harlequin on a Northern Tour (http//www.theatrales.uqam.ca/fil1.html). 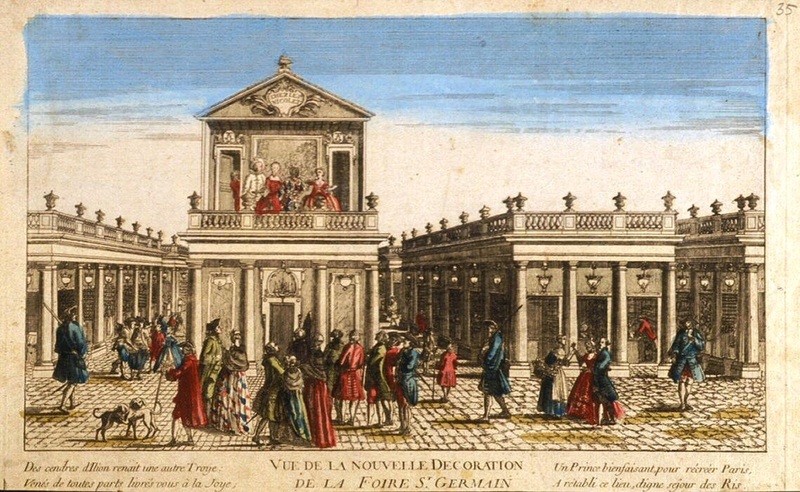 Previous to their arrival in America, Dominique, his wife, and young daughter were members of the Grande Troupe Êtrangère from 1742 to 1751. 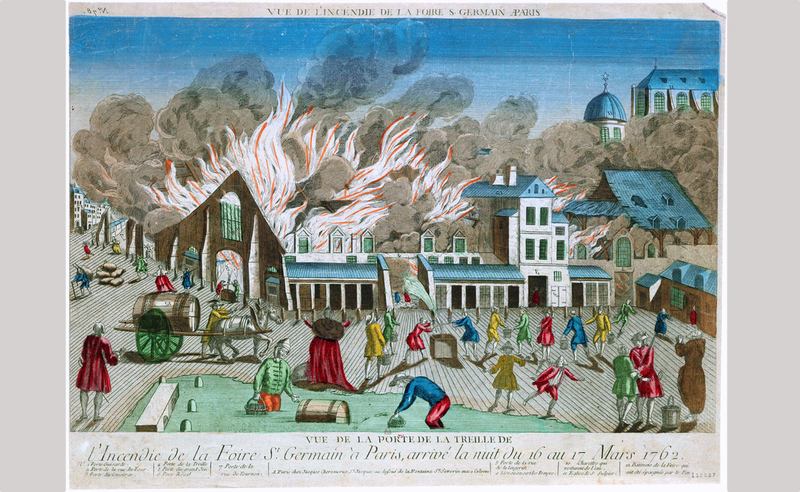 Operated by the Restier family, the troupe performed regularly at the annual Saint-Germain theatre fairs held in Paris since Medieval times. The fair was held simultaneously with Easter celebrations and generally lasted three to five weeks. During the interlude between fairs, Dominique’s troupe travelled throughout Europe and the British Isles in search of performing opportunities. In June and July of 1742 Dominique appeared as a tumbler with Hendrick and Kerman’s troupe at Sadler’s Wells in London, and in July of 1743, he was at Stoke’s Croft, Bristol. In 1744 at New Wells, Clerkenwell (in North London) he threw himself over twenty-four men with drawn swords. The following year his company returned to Stoke’s Croft along with his wife and four-year old daughter Polly, who was now performing with the troupe. By 1751 he turned up in Glasgow where he thrilled the Scots by flying over a double fountain. Nothing more is known of the troupe until their arrival in New York in 1763. There is no information to verify that either Madame Dominique or his daughter Polly accompanied Dominique to America. However, although no information was found to determine Madame Dominique’s first name, references were located confirming that she was a singer and a dancer, and the Madame Nina who travelled to America with Dominique was an opera singer. Could it be that Madame Nina was Madame Dominique? There is no information regarding their location from the time they performed in New York (1763) and their arrival in Quebec in 1765. Nor do we know where the troupe was between April 15, 1765 when they began their performance at Roi’s Inn and when they next appeared at a festival in a Township close to Quebec in November of 1765. However, a Gazette advertisement for October 24, 1765 suggests that they may have toured the Townships next to Quebec. 5. For French and English translation of the advertisement see Appendix 2. The advertisement says that Dominique, Silva, and Crivois were “always applauded in this part of North America.” It could follow that this is a reference to other townships surrounding Quebec (City). The October 24 edition of the Gazette gives very useful information about the sponsors of the Festival in the Township, performances by Dominique’s troupe, and other events that were part of the festivities. The sponsors were a group of women living in a Township close to Quebec, who referred to themselves as Les Villageoises Canadiennes (Canadian Women), new Subjects of the British King. The advertisement says that the Festival was held in honor of their Lord Patron and Protector Murray and would take place on November 18, 1765. The Gazette noted that the shepherds of the Township lent support to the Festival by joining four barns to create a large room for the entertainment and the closing grand ball. In addition to joining the barns, the shepherds also contributed to the Festival expenses by donating their current year’s superfluous income earned from tending their flocks. The Festival was to be “on the coast.” However, its location was not to be announced until three days before the event to prevent any confusion about where the Festival would take place. Detailed information about the program and its organization was also announced in the advertisement. Notice was given that no one would be admitted to the Festival without a ticket and that guests were to enter through the front door and exit by the back door. Admission to the event was 24.11 shillings per person paid to the front door attendant. This admission charge was to cover small pleasures such as refreshments as well as a donation to the needy. Twenty free tickets were distributed to girls that would like to attend, but who did not have the means to do so. The starting time for the Festival was five o’clock in the evening. Le Sieur Pierre Charties, et fa Troupe Comédienne, fe propof de donner au Public, Lundi prochain, le 15 de ce mois, une Piece de COMEDIE, intitulée Le FESTIN de PIERRE, fjivie de plufieurs Tours d’Equilibre: -A la Baffe Ville, à l’Enfeigne de Québec, chez le Sieur Jean Roi, où ces Meffieurs trouveront toutes fortes de Refraichiffements. — Les Billets fe diftribueront chez le dit Sieur le Roi: Les prix feront de deux Piaftres, d’une Piaftre, et de duex Chelins et demi. Sir Pierre Chartier, and a Troupe of comediennes, propose to give to the public, next Monday, the 15th of this month, a Comedy Piece, entitled The Feast of Pierre, (The Stone Feast?) 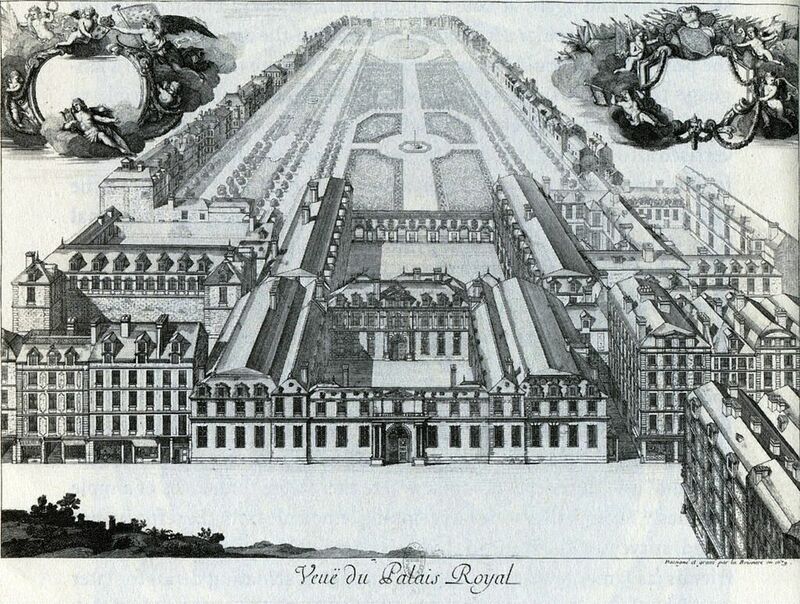 followed by several Turns of Balance: (acrobatic feats) – a La Baffe City (that will amaze the City), at the Ensign of Quebec, at Sir Jean Roi,(Roy’s) where the Men (patrons) will find all sorts of Refreshments. Tickets will be distributed at the Sign of Quebec (Inn), Saint Pierre Street, at Jean Roi’s (Inn): The prices (admission) are two dollars, one dollar, and two and a half shillings. NOUVEL et DIVERTISSEMENT PUBLIC | Les VILLAGEOISES Canadiennes, nouvelles Sujettes de sa Majesté Britannique d’un certain canton de la Province de Québec, donneront une Fête et feront représenter en l’honneur de leur Seigneur, le lundi dix-huit Novembre J prochain, une piece nouvelle intitulée Les Fêtes Villageoises COMEDIE, en un Acte, qui sera suivie d’un Balet de i Bergers et de Bergères, précédée d’un compliment au Seigneur leur Patron et Protecteur; entre la Comédie et le Balet il y aura une Cantate et un Duo qui seront chantés par le Sieur Colin et la Demoiselle Nina, fameux Musiciens du Canada; cette dernière chantera seule un morceau choisi de l’Opéra des amours de Venus; ensuite ! il y aura trois danses de caractère, le Sieur Dominique dansera l’Harlequinade, le Sieur Silva, la Matelote Hollandaise, et le Sieur Grivois, la Chinoise, tous trois grands danseurs, qui ont toujours été applaudis dans cette I partie de l’Amérique Septentrionale : L’orquestre et la Symphonie seront composés de toutes sortes d’instrumens I très nombreux jusqu’à une Cornemuse; le tout sera terminé par un grand Bal dans le meilleur ordre que faire se pourra, on y trouvera toutes sortes de rafraîchissements pour que tout le monde soit content; on fera en sorte que Bacchus et Venus s’accordent ensembles à fin que les plaisirs ne soient pas troublés, – Le zèle avec lequel les I Bergères de cette côte se prêtent pour rendre cette fête brillante, leur fait mettre toute leur industrie à l’imitation | des Bourgeois de Québec, à rassembler et joindre ensemble quatre granges en peu de tems, pour faire une jolie | salle de Comédie et de Bal et des cabinets pour la commodité; et à fin de contribuer à la dépense de cette fête galante, les Bergères ont bien voulu abandonner une année de leur superflus. – Les paroles de la Comédie sont composées par le Sieur Lanoux, célèbre poëte du Canada, et la musique de la Cantate et du Duo par le Sieur Zeliot, grand musicien. Le Spectacle commencera à cinq heures du soin le Public sera averti trois jours avant de l’endroit où la fête se donnera, qui sera dans la côte; pour prévenir le desordre on mettre dans la maison de divertissement à l’enseigne des plaisirs par la porte de devant, et on en sortira par la porte de derrière. — Personne n’y sera admise sans un billet qui coûtera 24 11. Qu’il faudra payer au receveur des consignations dés menus j plaisirs; le nombre des billets sera de cent; on est prié de souscrire au plutôt pour faire les arrangemens de la fête, à moins qu’on aime mieux donner l’argent aux pauvres; on distribuera gratis vingt billets pour les Demoiselles qui n’ont pas le moyen de se divertir et qui en ont envie. New Show and Entertainment The Canadian Women, new Subjects of his Britannic Majesty in a certain Township in the province of Quebec, will come together and give a Festival in honour of their Lord Patron and Protector on Monday the eighteenth of November next. A new play in one act titled The Villagers Festival Comedy, will be followed by a Ballet of Shepherds and Shepherdesses, and given in honour to our Patron and Protector. In between the comedy and the ballet will be a Cantata and a duet sung by Sir Colin and Miss Nina, famous musicians of Canada. The latter will sing a piece chosen from the Opera of the Loves of Venus. Finally there will be three character dances Sir Dominique dances the Harlequinade, Sir Silva dances a Sailors Hornpipe, and Sir Crivois, a Chinese dance. All three are great dancers, who have always been applauded in this part of North America. The orchestra and the symphony will be composed of all kinds of instruments with one bagpipe (Cornemuse.) The whole will then close with a big Ball in the best order that can possibly be done. There will be all kinds of refreshments so that everyone will be happy. We will ensure that Bacchus and Venus agree to this gathering so that the festivities may have no problems. The zeal with which the shepherds of this coast lent themselves up to give this brilliant festival made them put all their effort into an expression of the Quebec Bourgeois. To gather together and join four barns in a short time to make a beautiful room for the Comedy and Ball, and toilets for convenience, and finally in order to contribute to the expenses of this brilliant party the shepherds were willing to give up a year of their superfluous pay from their land/farms. The script for the Comedy was written by Sieur Lanoux, the celebrated poet of Canada, and the music for the Cantata and the Duet were composed by Sieur Zeliot a famous musician. The event begins at five o’clock in the evening. 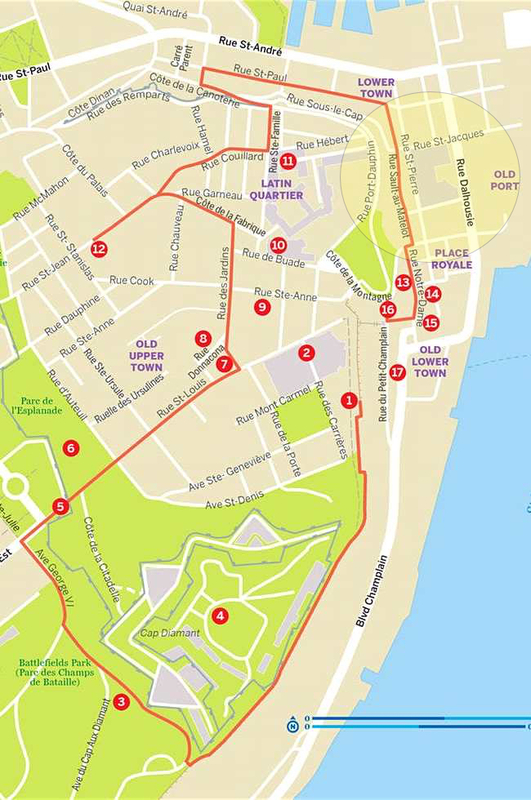 The public will be given three days notice of the place of the festival to prevent confusion. All will enter the entertainment space by the front door, and come out by the back door. No one will be admitted without a ticket that costs $24.11 (shillings & pence?) that must be paid to the door attendant for small pleasures. The number of tickets will be one hundred, and we are requested to make the arrangements for the feast, and we would love to give some money to the poor. Twenty free tickets will be distributed to girls that would like a night out, but do not have the means to do so. George and Emma Skerrett & Co.